From 480 channels to 560 channels . SMART GIANT V3 offers wide range of sorting capacity from 5 tons to 6 tons of polished rice per hour. 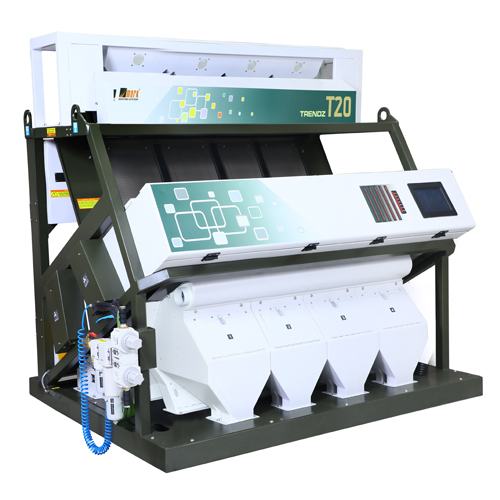 The SMART GIANT V3 series color sorter gives significant performnace in all types of food grains such as rice varieties, dall varieties, pulses, wheat , beans, nuts etc.